How can we make online shopping easier? 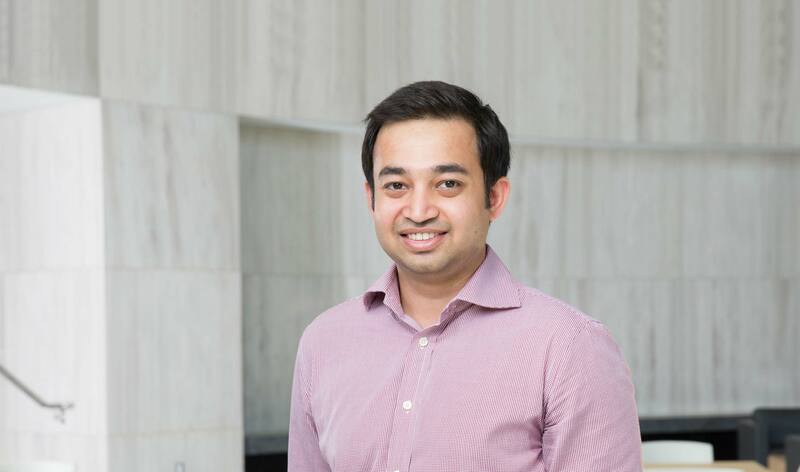 U of T Mississauga undergraduate Syed Fakrul Arefin is tapping into a wealth of good advice to launch a digital startup that could change the way you buy clothes. The sleek black app interface couldn’t be simpler—one by one, images of clothing scroll by. When you see an item you like, you tap a shopping bag. This is Butiik—the first step to an easier shopping experience for the digital world. “The app is showing you the clothing in different stores that is actually physically available around you right now,” explains Syed Fakrul Arefin, the fourth-year U of T Mississauga student who is the Chief Operating Officer of the startup. When you add the items you like to your shopping bag, you can then explore prices and find out which stores to visit for a try-on session. Could we have the best of both online and offline shopping? “We wanted to see a integration between the online and offline forms of shopping,” he says. The answer was a resounding yes, so the team moved forward. By the end of the school year they had joined I-CUBE, U of T Mississauga’s student business accelerator. “We got legal help and graphic design help,” says Arefin. “We use their office space; they gave us direction on how to improve our business model. And they helped us out of difficulties.” For example, when the team was hitting dead ends trying to speak with storeowners, their I-CUBE advisor Vigen Nazarian provided a contact and explained how to make a pitch before you have a product. Arefin’s team also got linked up with the U of T-affiliated MaRS Innovation hub downtown, and forged a partnership with venture capital firm LiquidProject. “It was hectic but fun at the same time!” says Arefin. The team refined their vision—for example, their business model now includes commissions on sales made through the app. He also drew on his UTM coursework for practical help. “I took a course in technology law,” he says, “and that helped me take care of the incorporation and the trademarks.” The team now has a working app, and is planning a soft launch to gather invaluable user feedback. When they graduate this spring, they’ll be their own employers, just as they hoped. How can talking showerheads save water?